You can create tasks in the Integrator. Give the task a name and a description. Select the trigger and store type. For more information, see Scheduler Trigger Types and Scheduler Storage Types. Select the user groups for which the task should be executed. If you want to send reports to each user of a certain group, use the option “Go over group(s)” and select the user group you want or add a custom e-mail address. Click Next. Decide which user must run the job. Click Finish to create the task in the Scheduler. 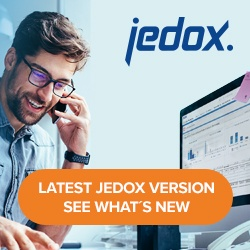 The e-mail addresses of the users who should be notified can be registered in the user’s properties form in Jedox Web Administration > Users. Alternatively, it can be set via a Spreadsheet View of the cube #_USER_USER_PROPERTIES in the System database. The mail server used for sending emails is configured in Jedox Web Administration > Settings. For details, see Adjusting Email Notification Settings. The Scheduler displays the tasks that are not yet finished or the logs of the jobs that are already finished. Depending on your access rights, you can start, stop, edit or delete tasks. You can also change the execution times in the General tab.